The Hanafuda Cards reward are back in stock on Club Nintendo. 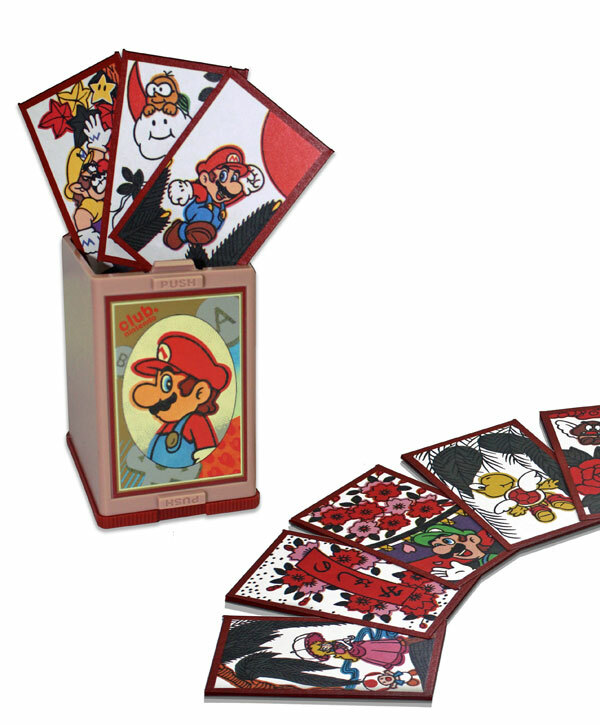 The reward features recreated Nintendo-themed artwork, and it includes 48 Hanafuda Cards and a protective case. The Hanafuda Cards can be yours for 800 coins. Will you redeem the reward, or are you saving your precious coins for something else? Bought the mario accessory box so i only have 300 coins left. Got mine sitting proudly on the mantle unopened. I’m saving up for mine. You Europeans have better stuff in your CN. Especially that sweet SNES Controller for the Wii. Did you get the Mario Kart trophies? They’re pretty awesome. Hey Alba, The Nintendo E3 2013 site is up! Come to Australia then say you have nothing good. Used them on the Gold Nunchuck, G&W Gallery 1 and 2 and I am empty lol. thats what i got, the golden nunchuck. you can get that snes controller, thats cooler and thats a good controller. Guys, does anybody knows how can i get Club Nintendo prizes if i’m from south america? any way to get it? at least can i buy those cards? im just going to comment just so your like ooh somebody answered me, and then your just like oh in a sad way because you thought i could of answered that. Haha no it wasn’t but did you like my dance!!?? Interesting. there will be no trouble if i use a courier adress? or they need a home adress? And how i get those coins? I want those cards because are important as a Nintendo fan. For someone who has these how nice are they? Are they worth it? I have a set of these, i only got them because they were the only item worth getting. They are a bit of Nintendo’s history, thats why i got them. They are high quality (except for the instruction booklet) and so worth it, especially if you display them. Next Entry Scribblenauts Unmasked Launches On September 24th?